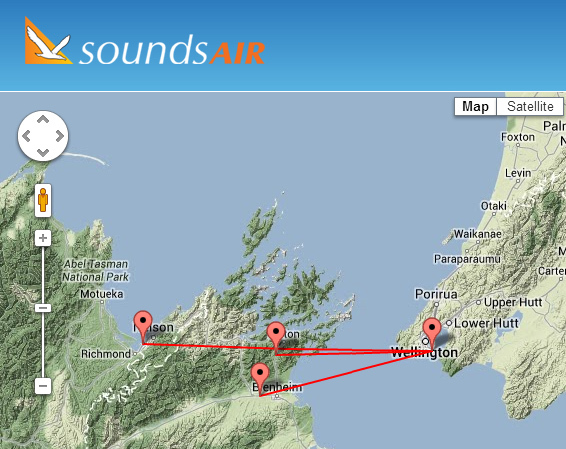 Sounds Air is a New Zealand airline based at Picton. The airline was founded in 1986 by Cliff and Diane Marchant with a vision to provide low cost flights to the Marlborough Sounds. The airline has a maintenance facility at the Feilding aerodrome 15 kilometres northwest of Palmerston North as well as Omaka aerodrome with its Sounds Aero Maintenance division based there.